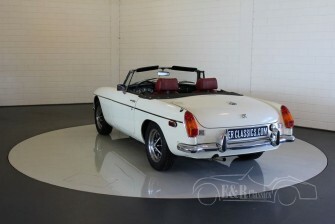 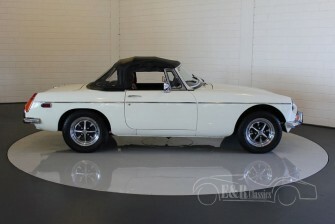 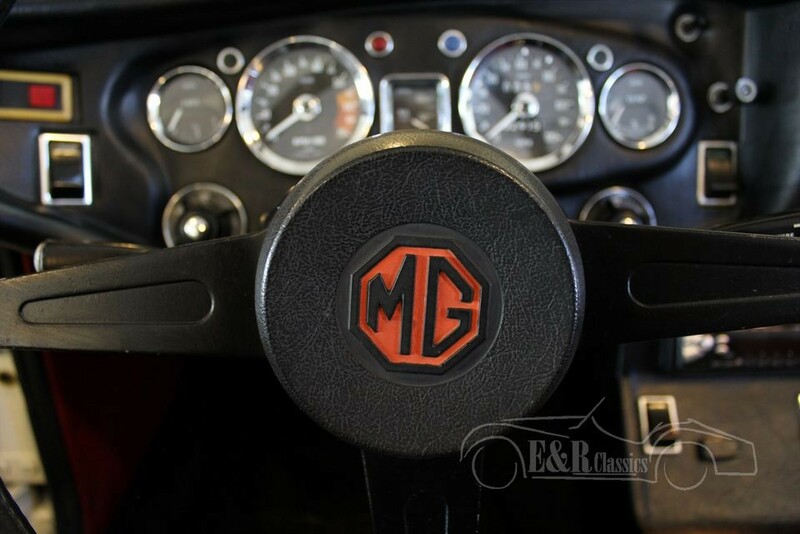 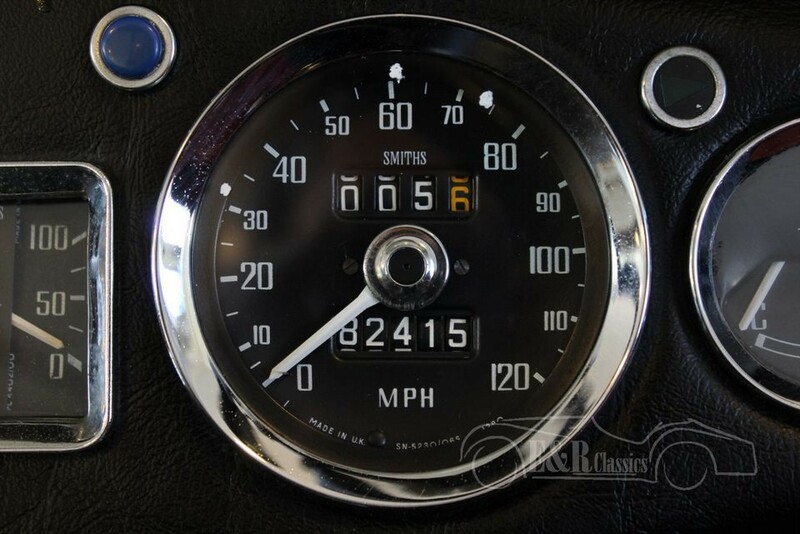 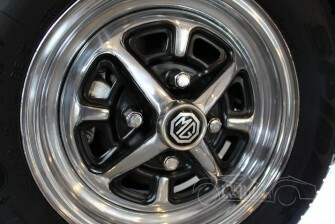 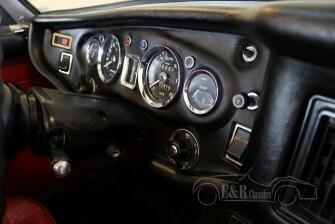 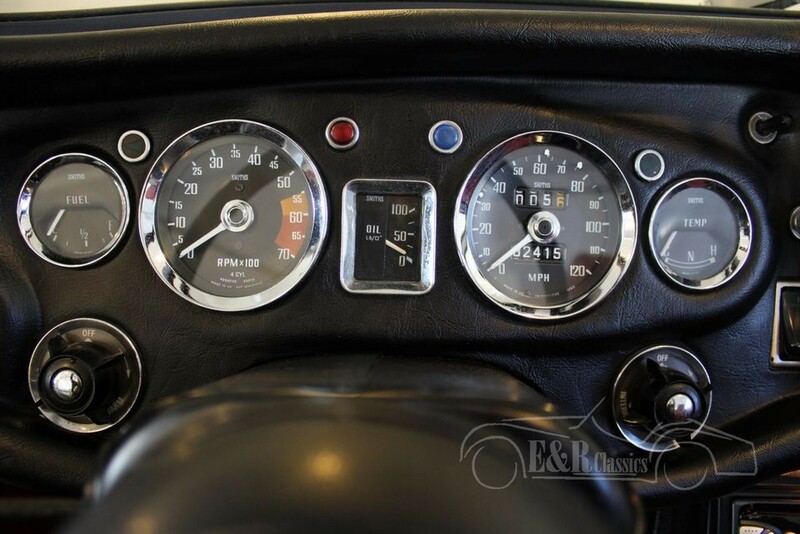 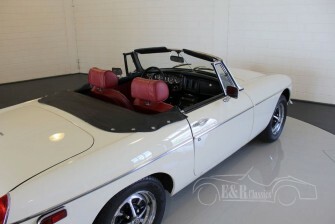 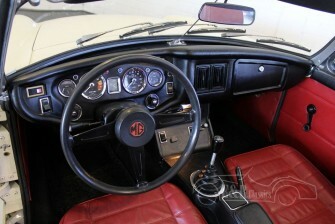 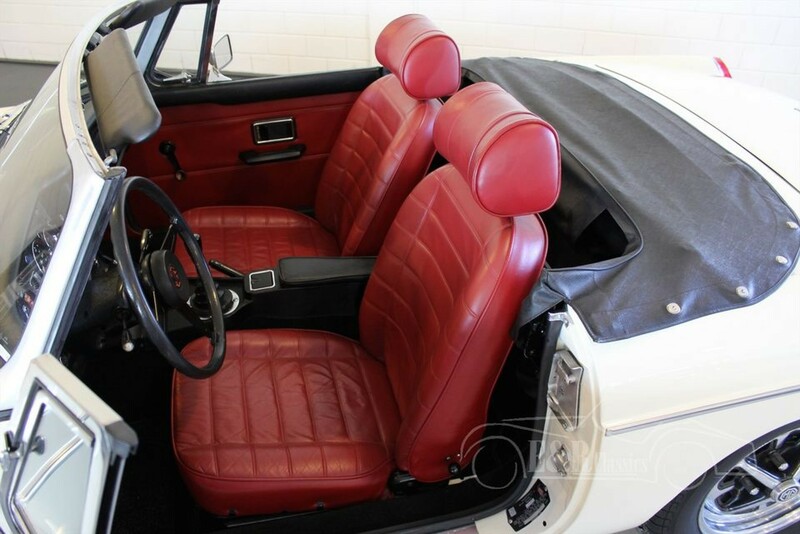 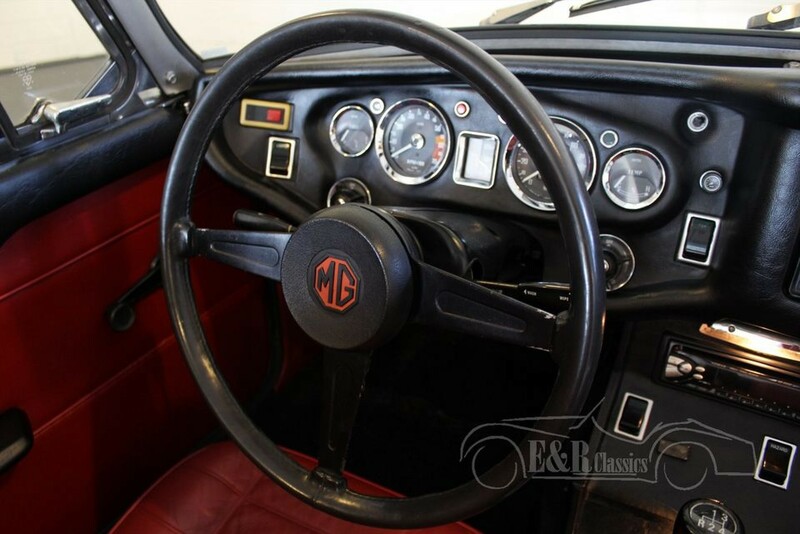 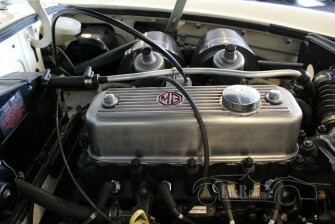 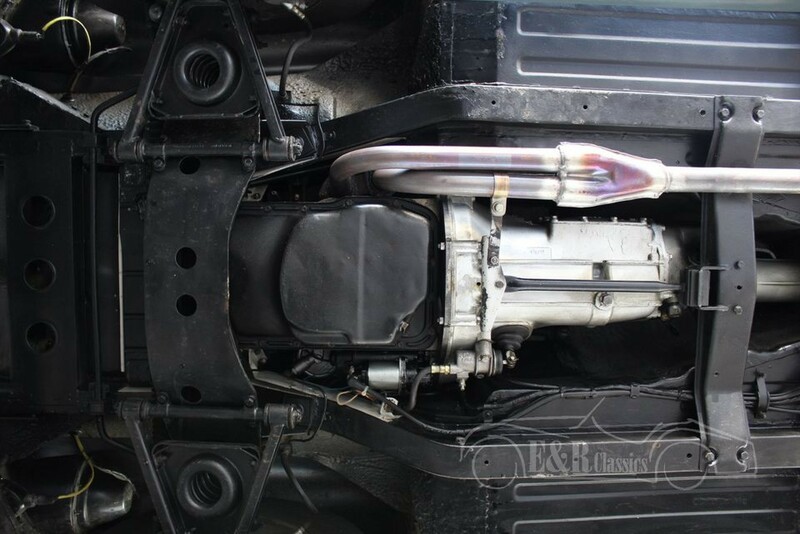 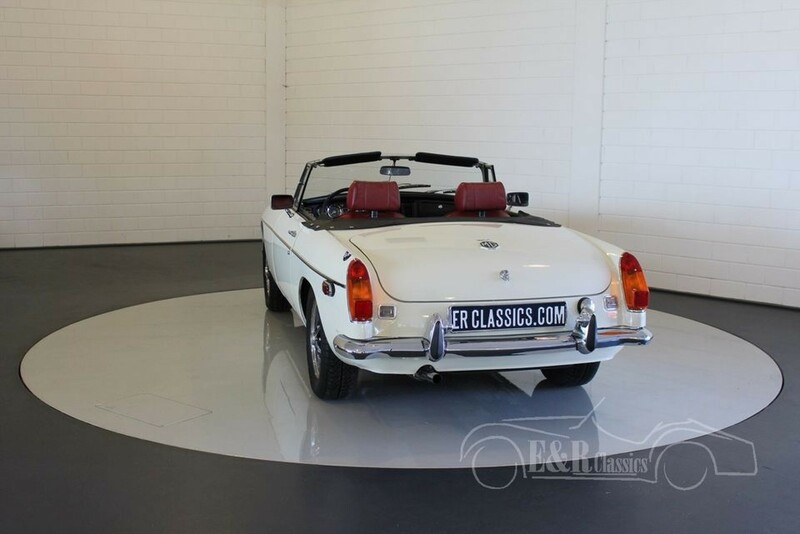 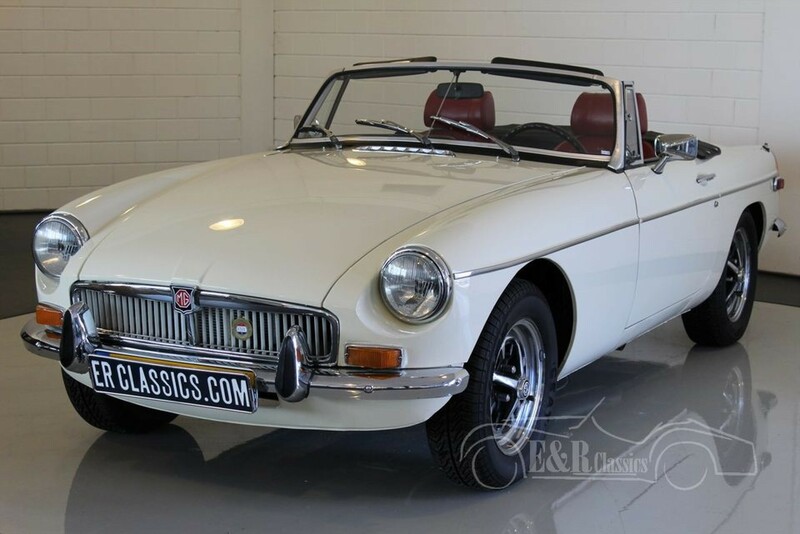 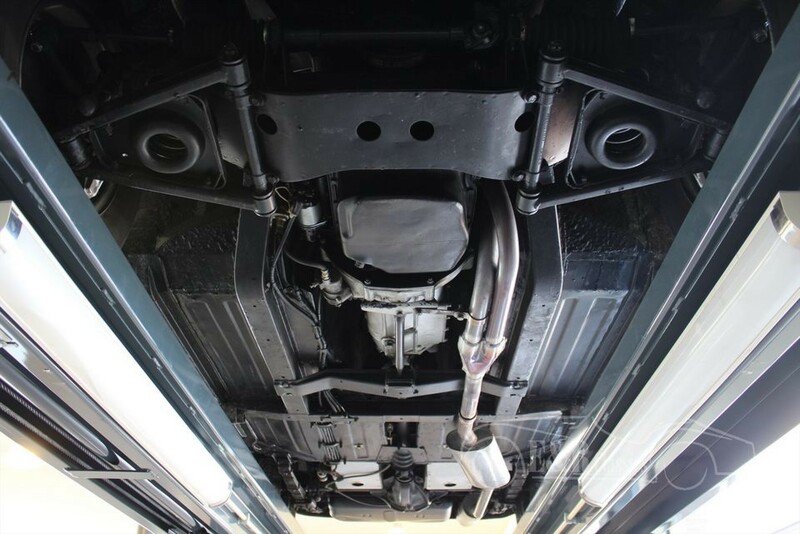 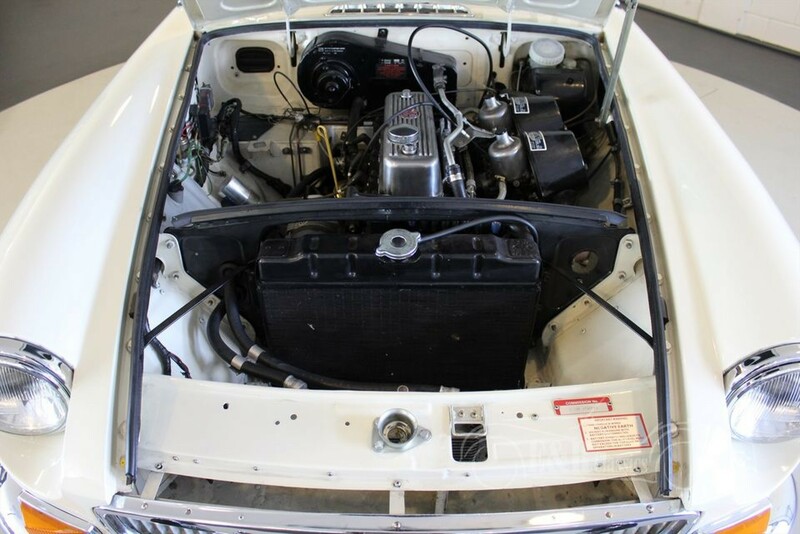 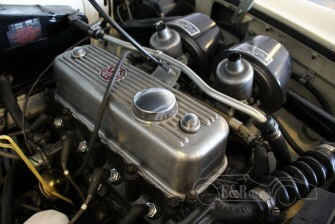 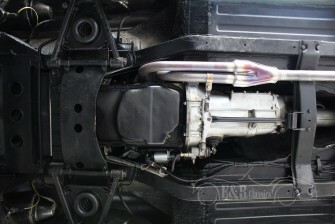 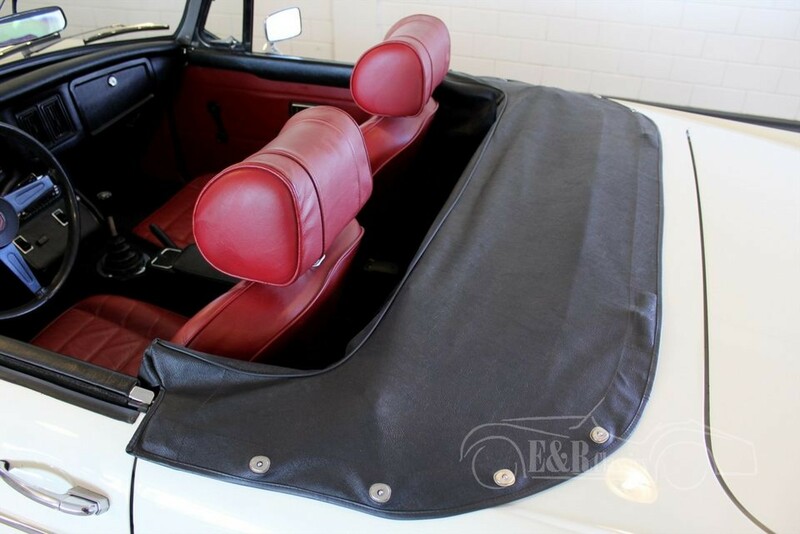 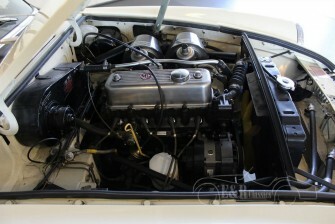 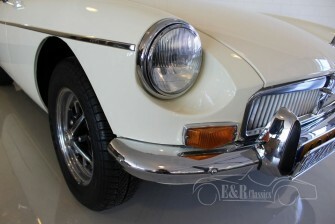 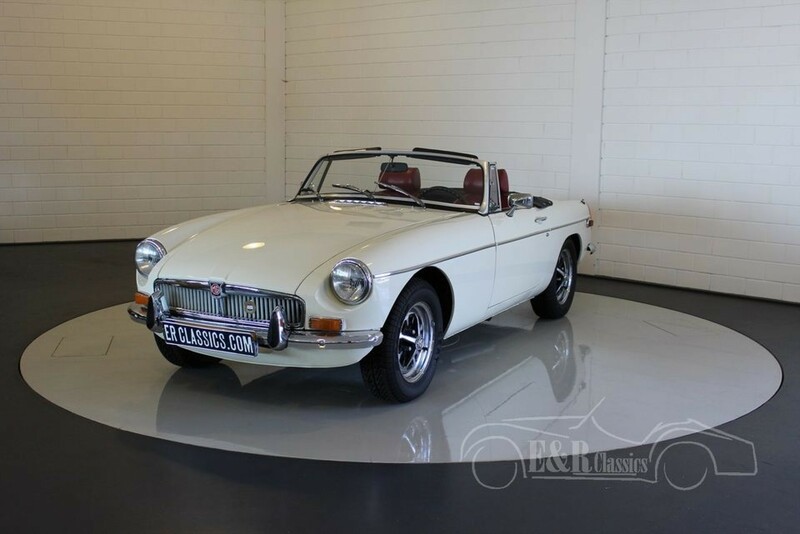 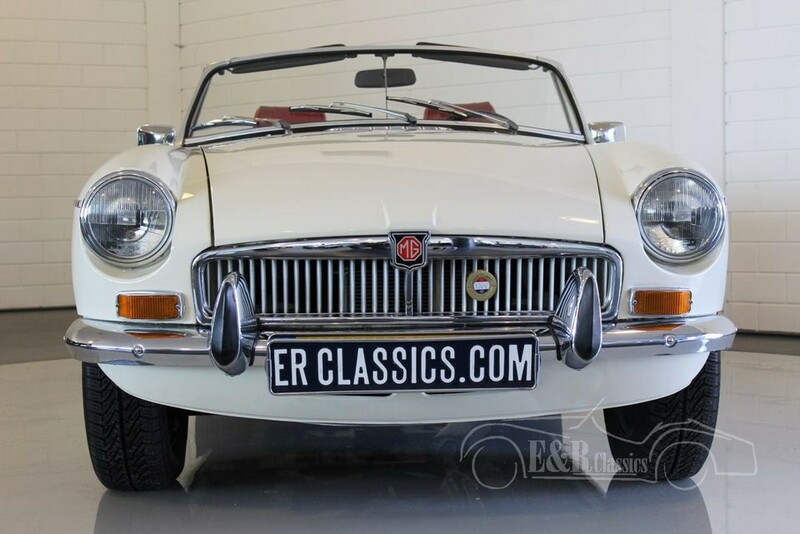 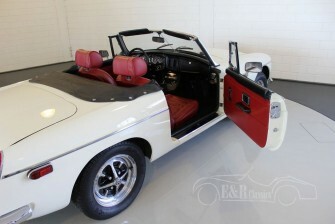 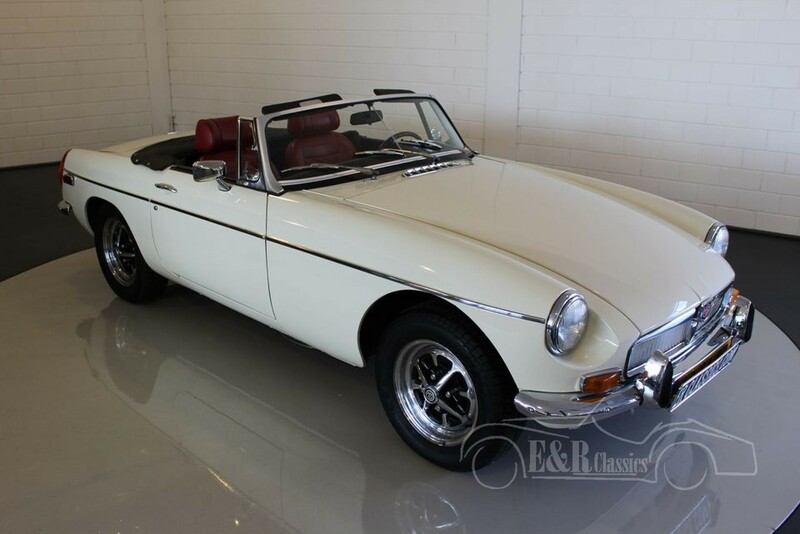 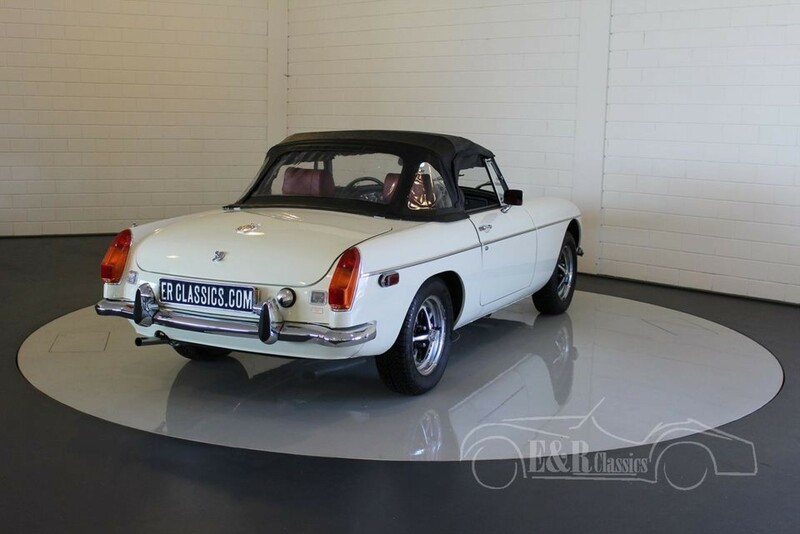 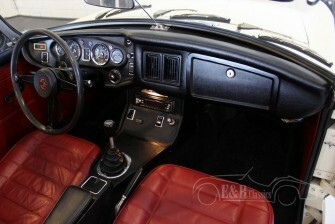 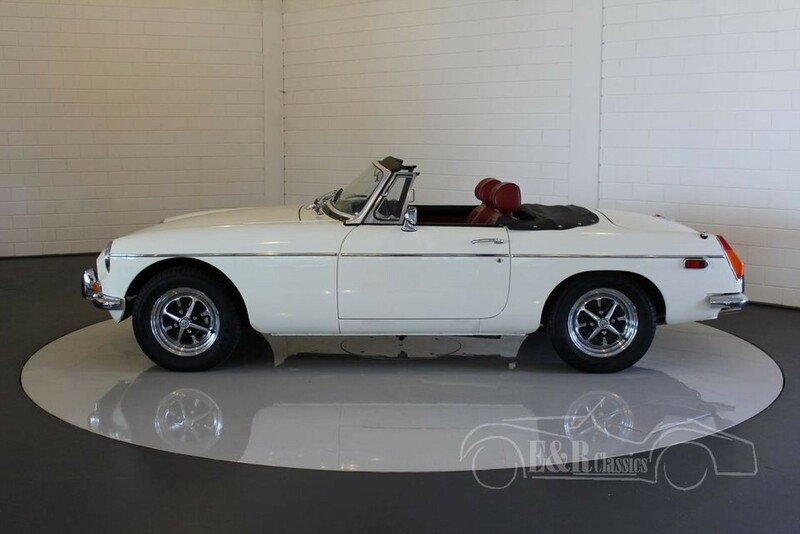 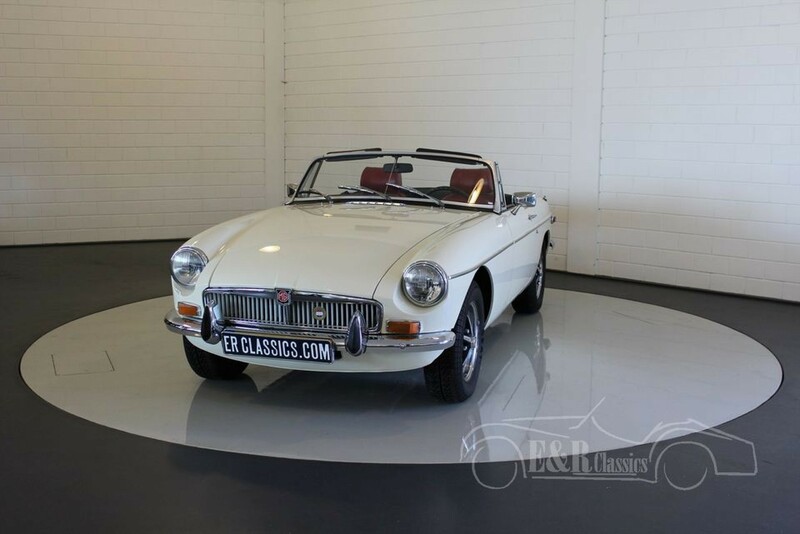 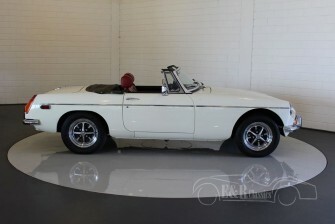 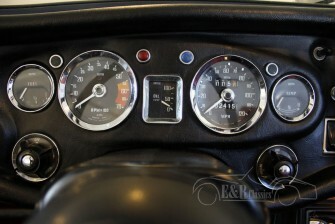 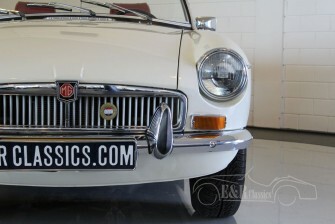 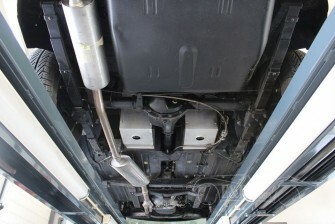 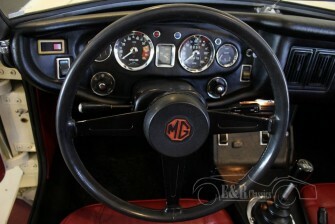 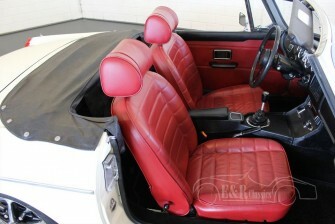 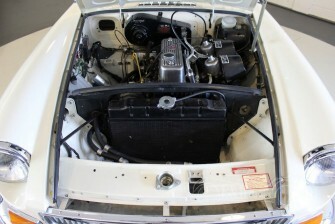 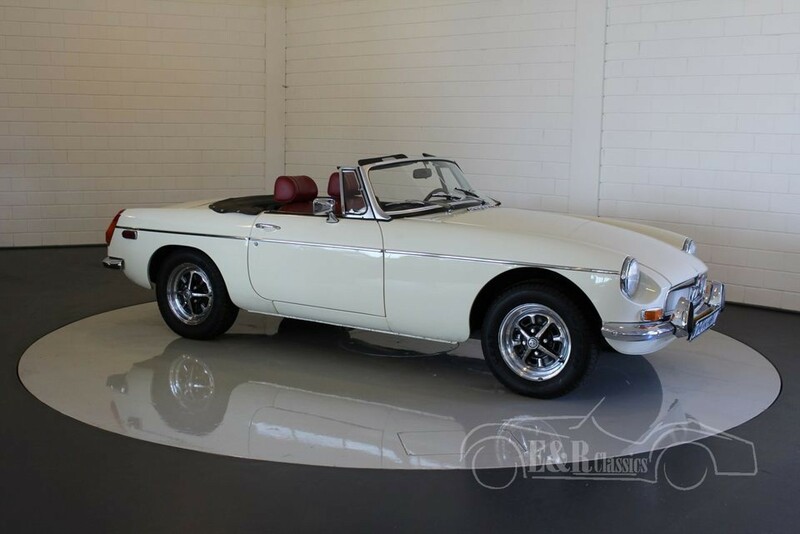 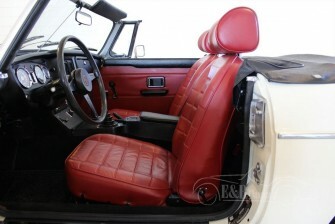 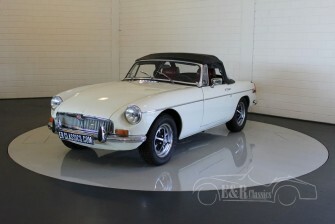 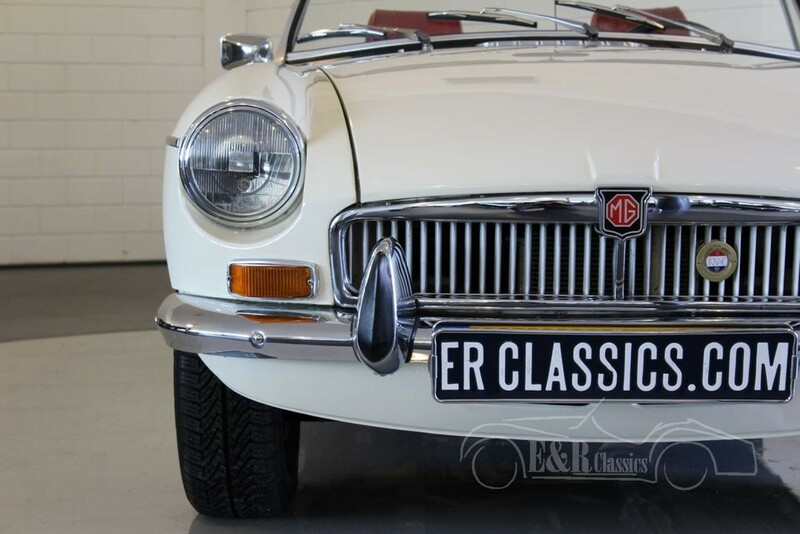 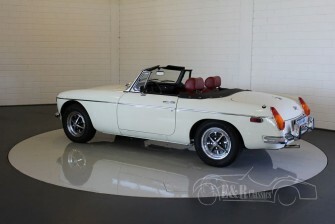 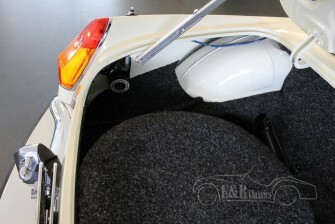 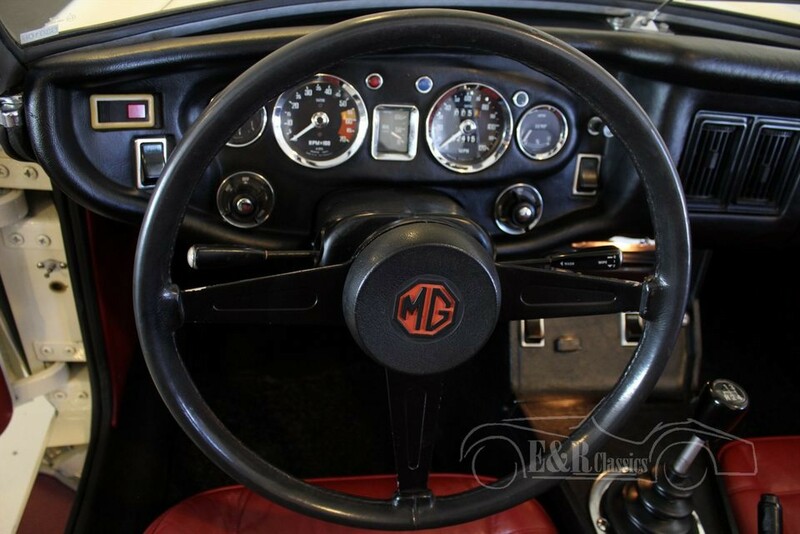 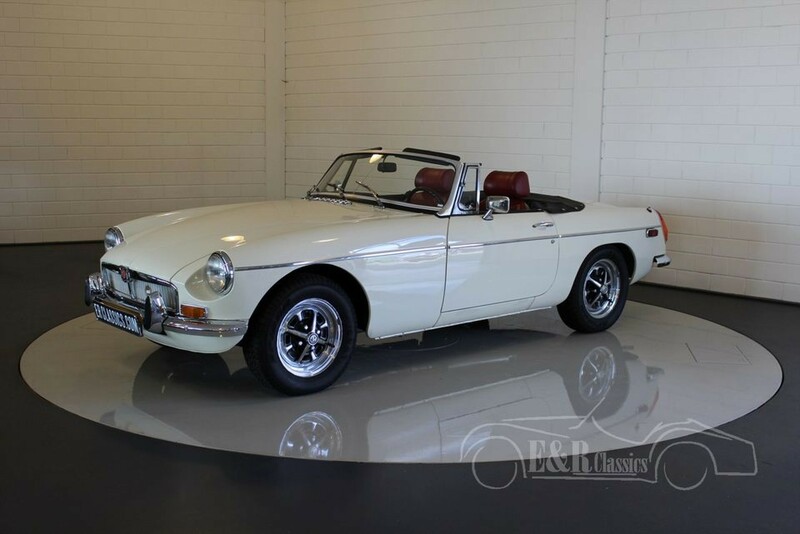 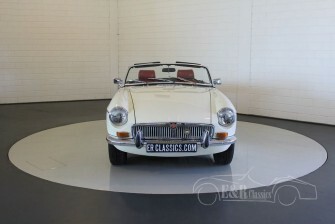 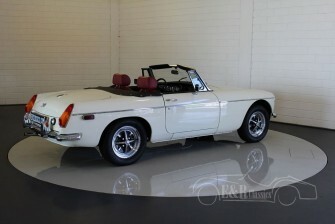 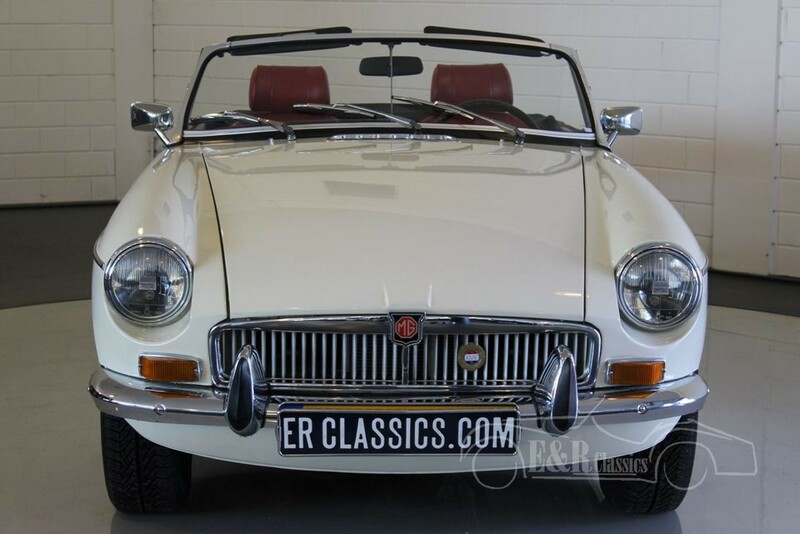 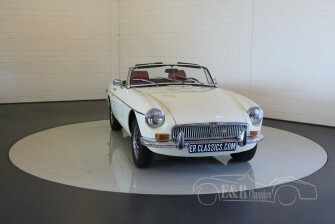 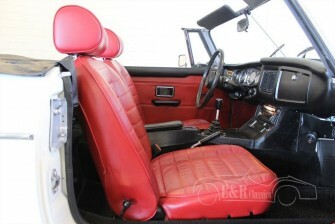 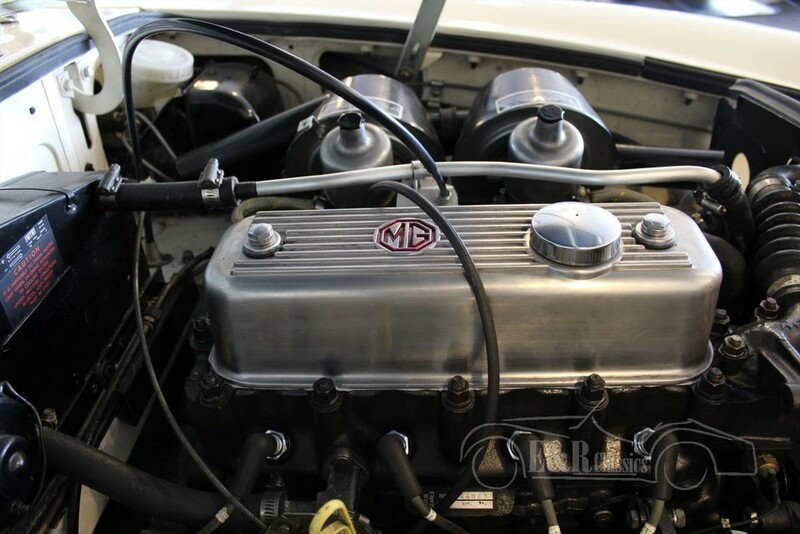 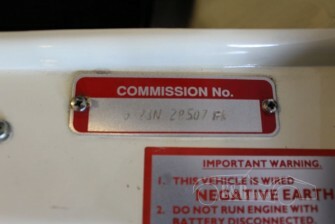 This is a 1974 MGB. 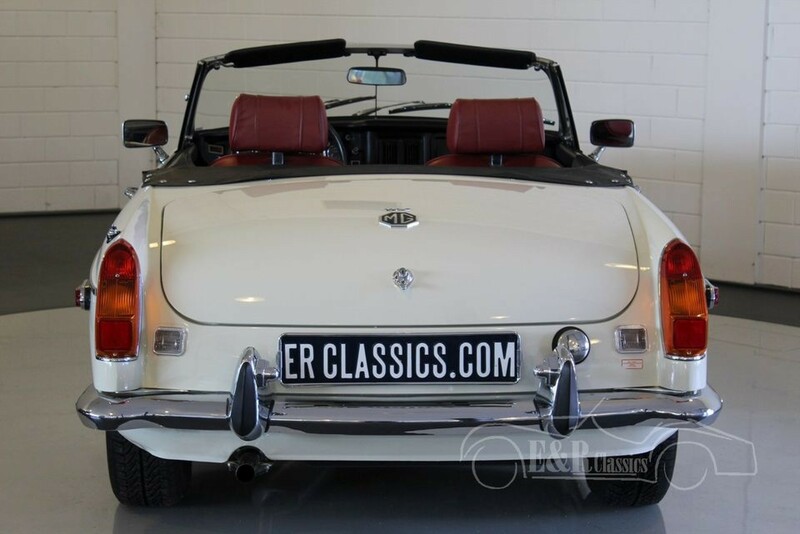 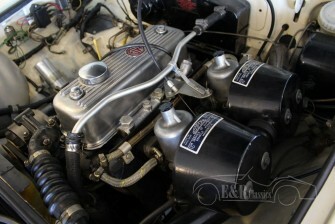 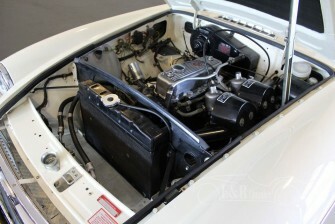 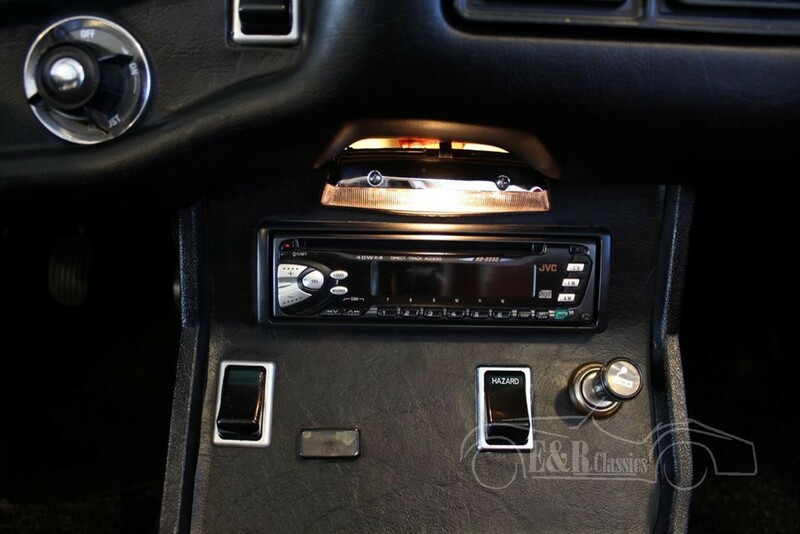 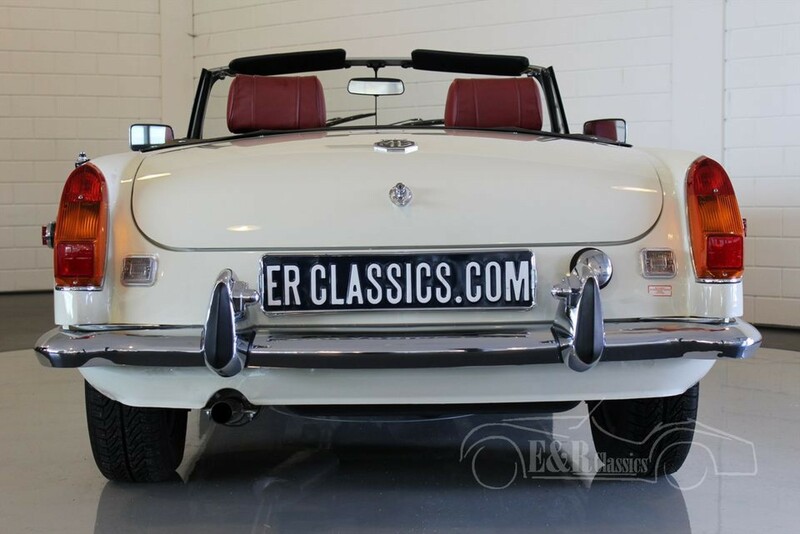 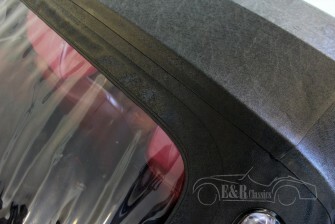 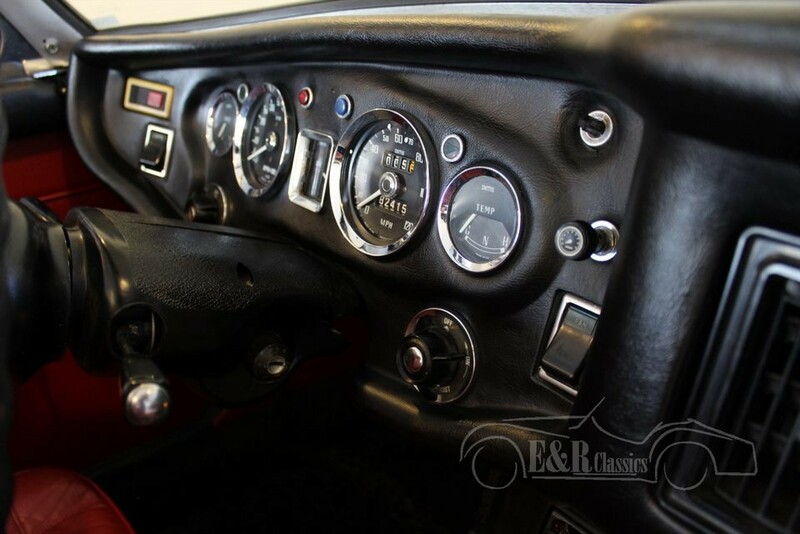 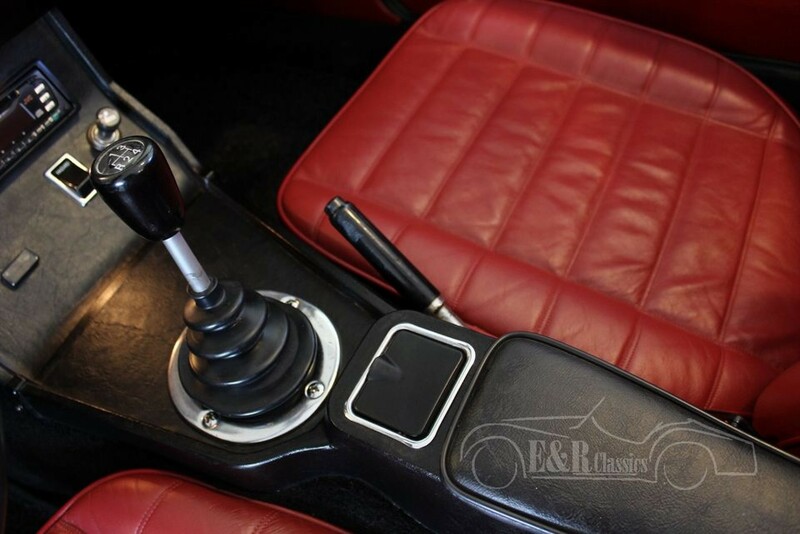 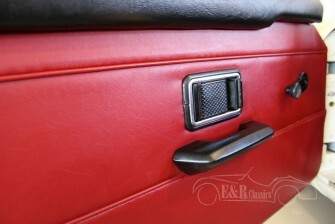 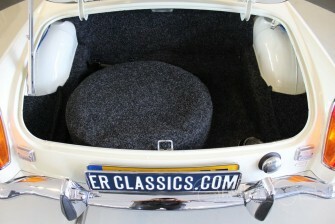 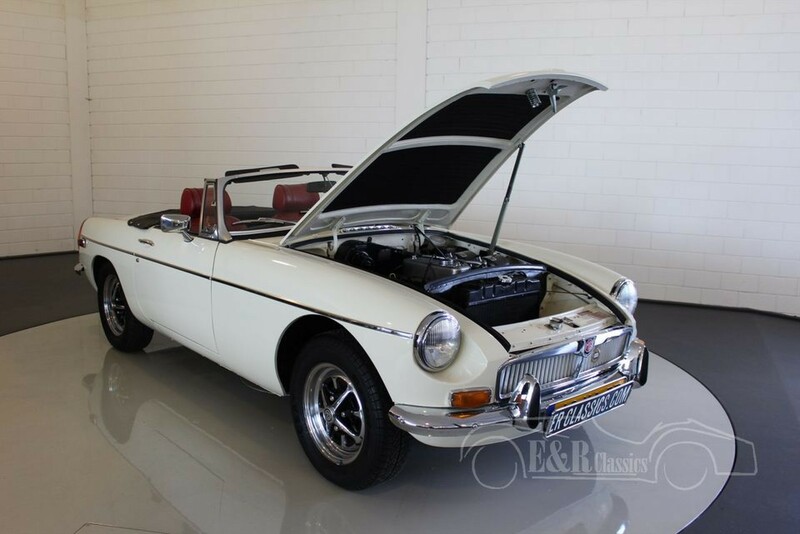 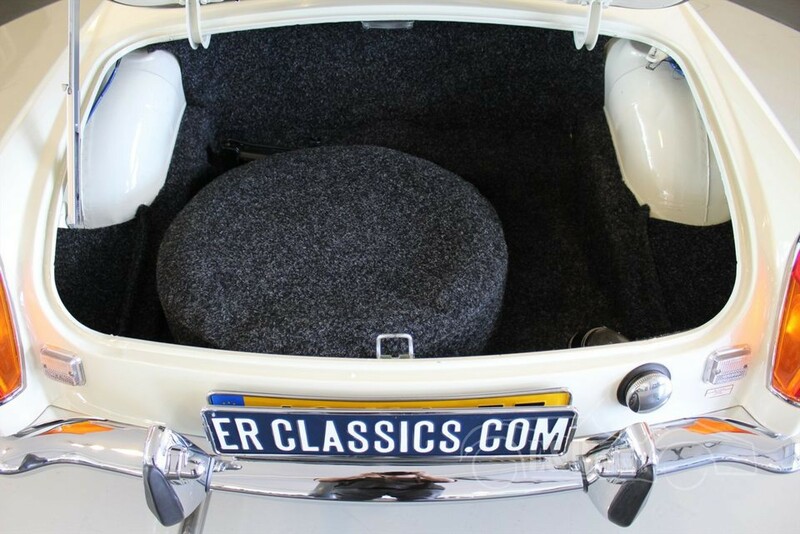 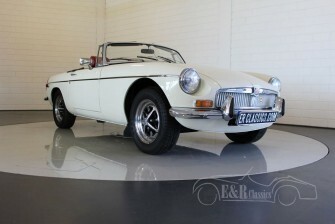 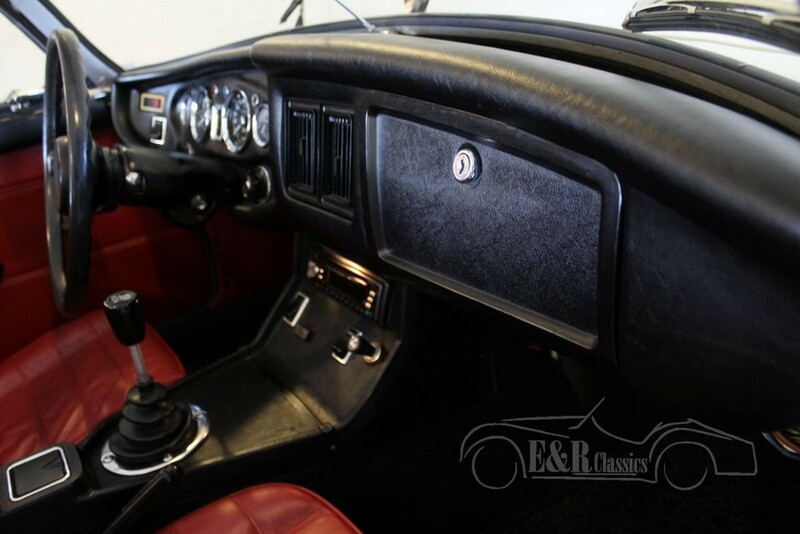 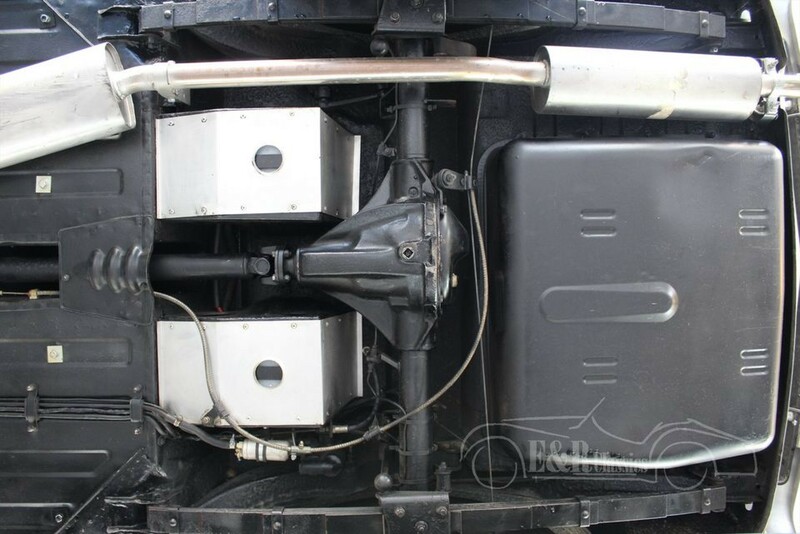 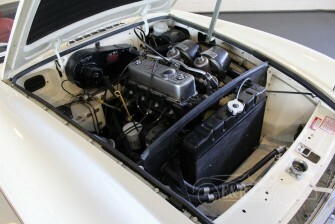 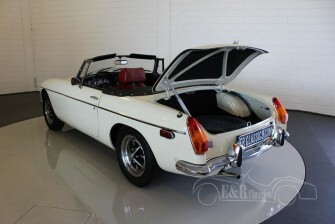 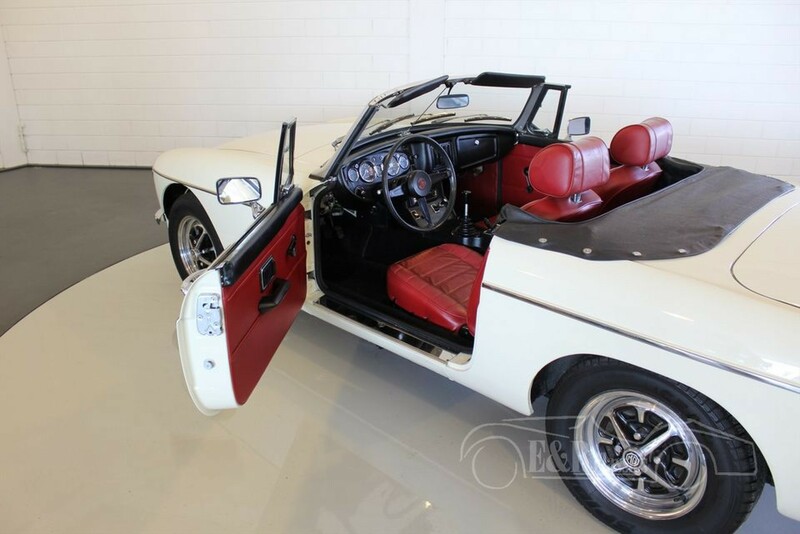 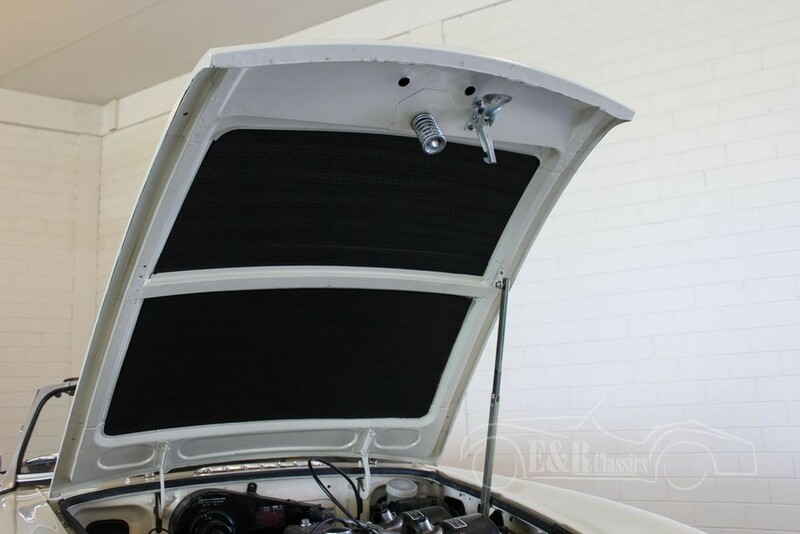 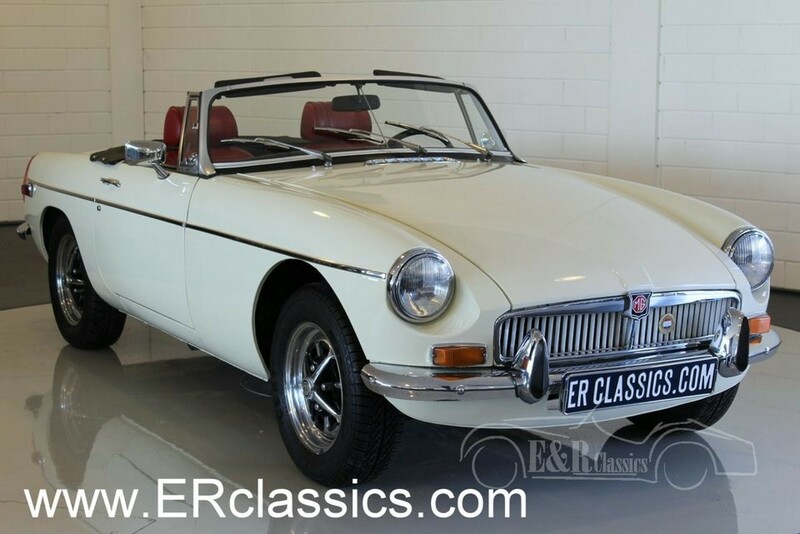 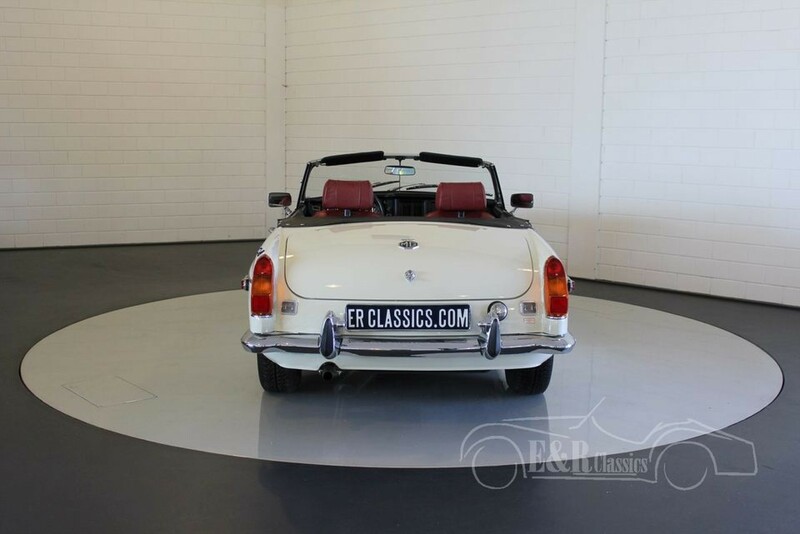 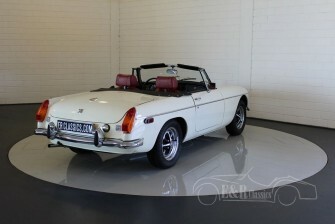 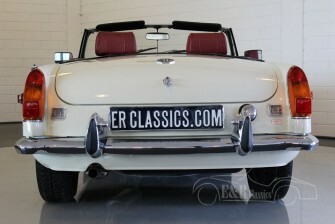 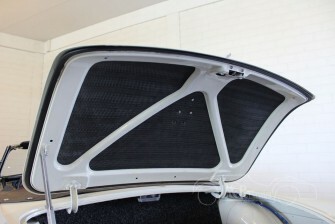 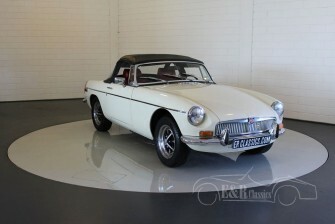 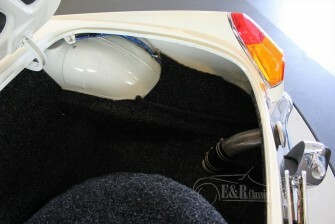 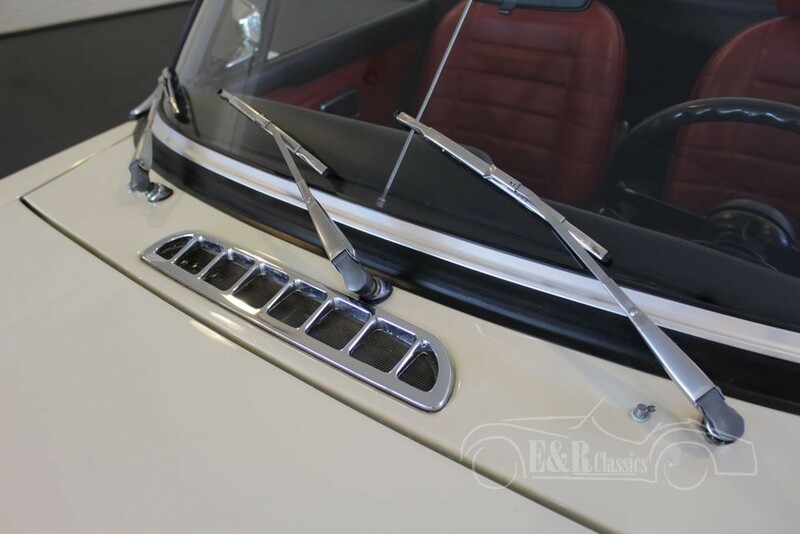 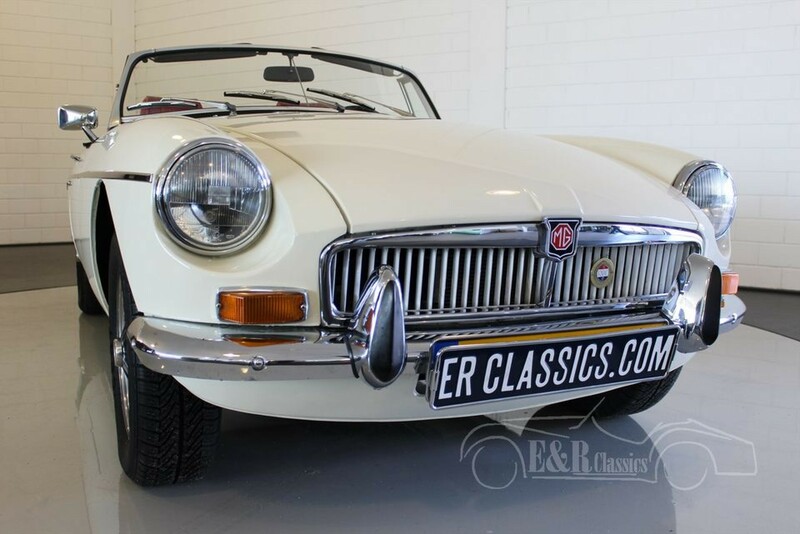 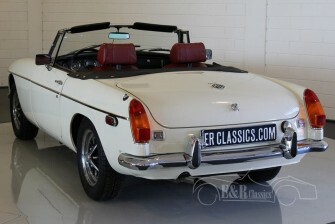 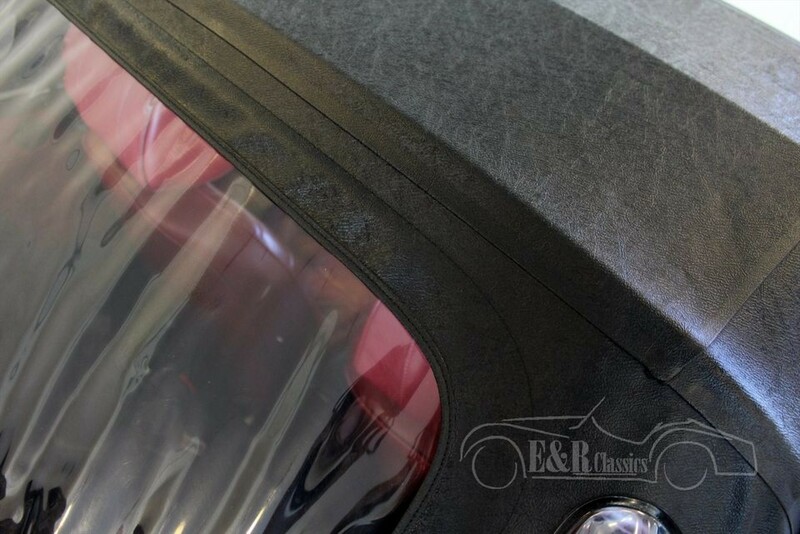 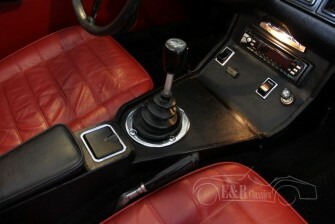 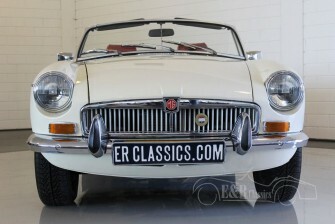 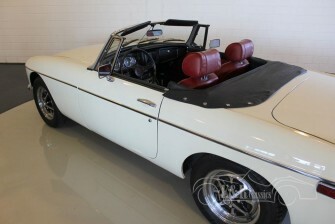 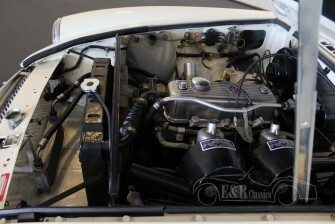 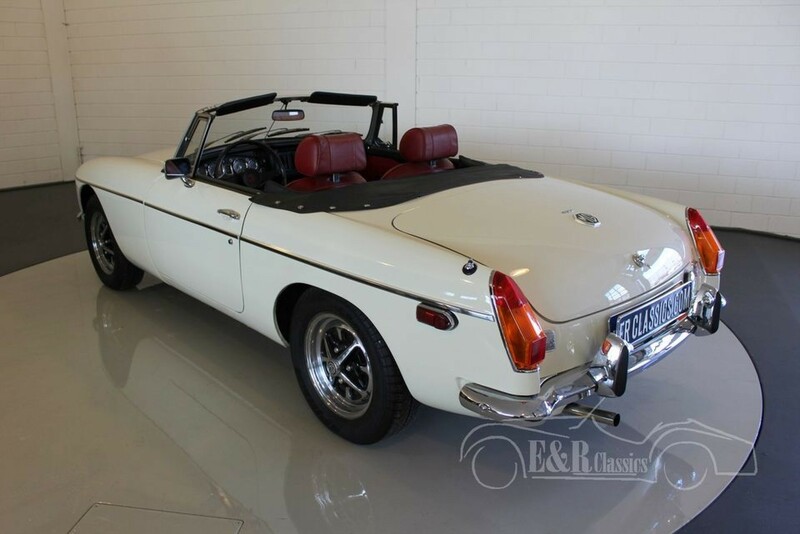 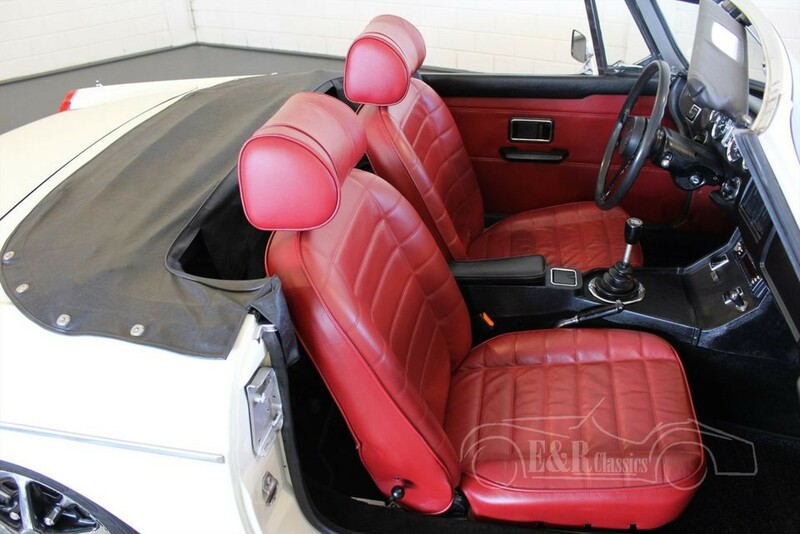 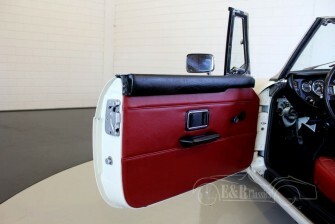 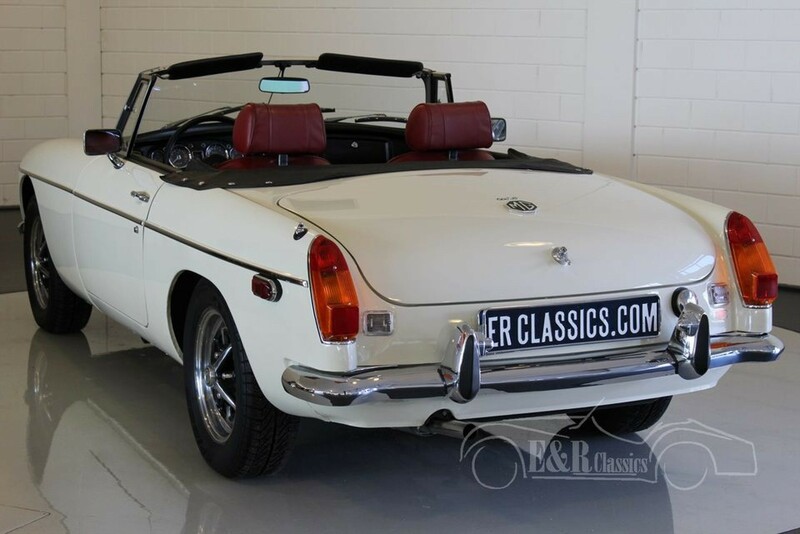 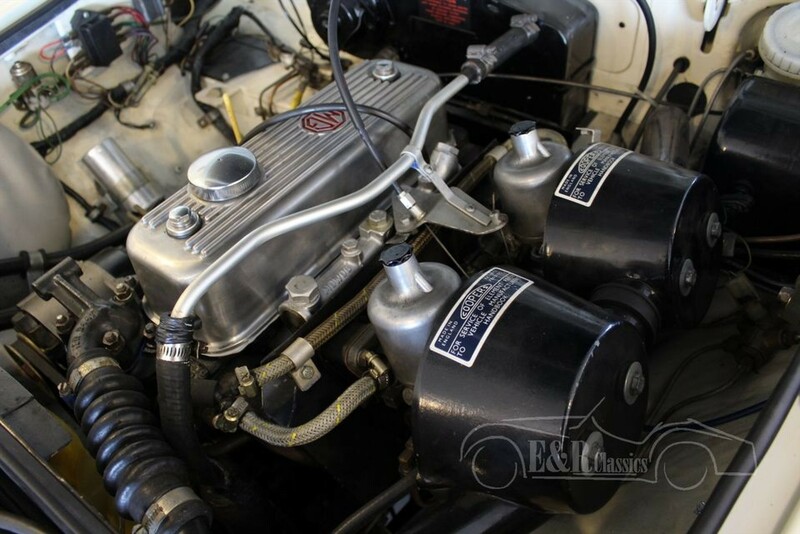 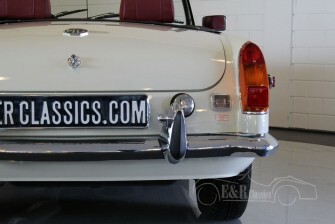 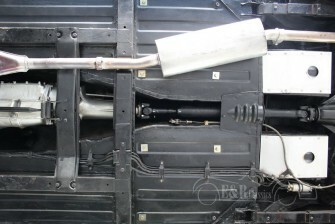 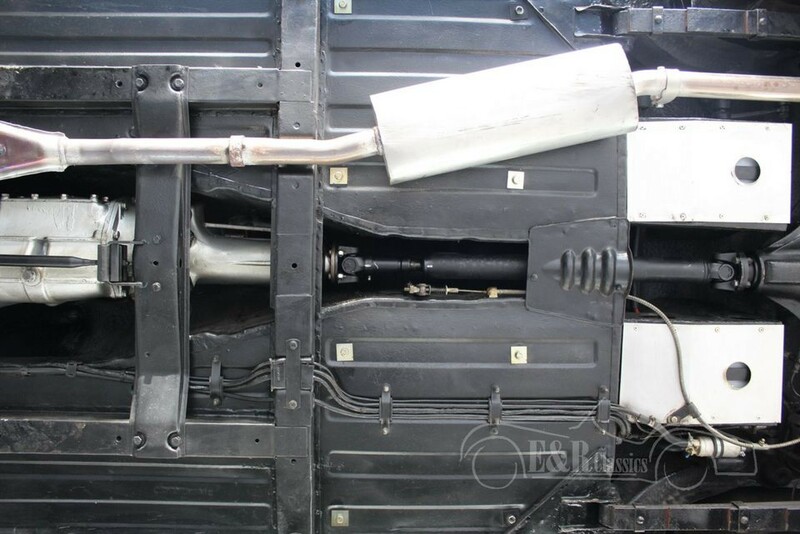 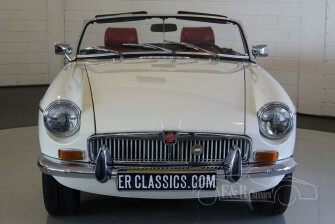 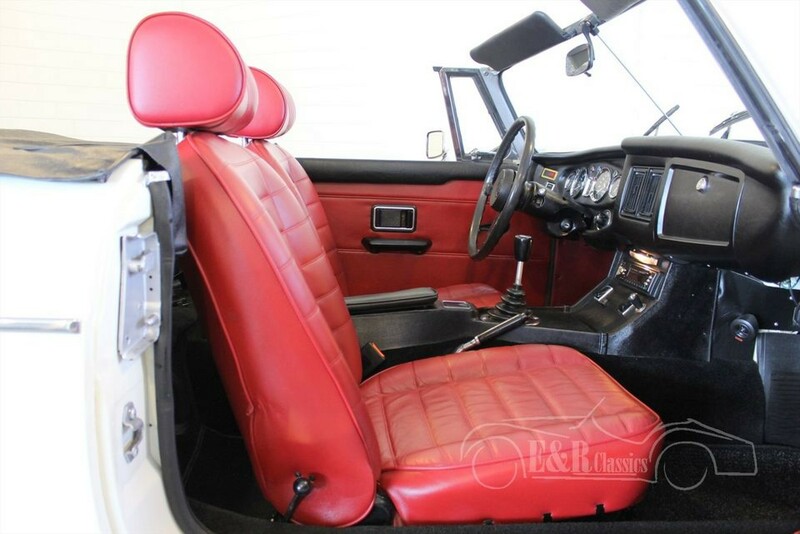 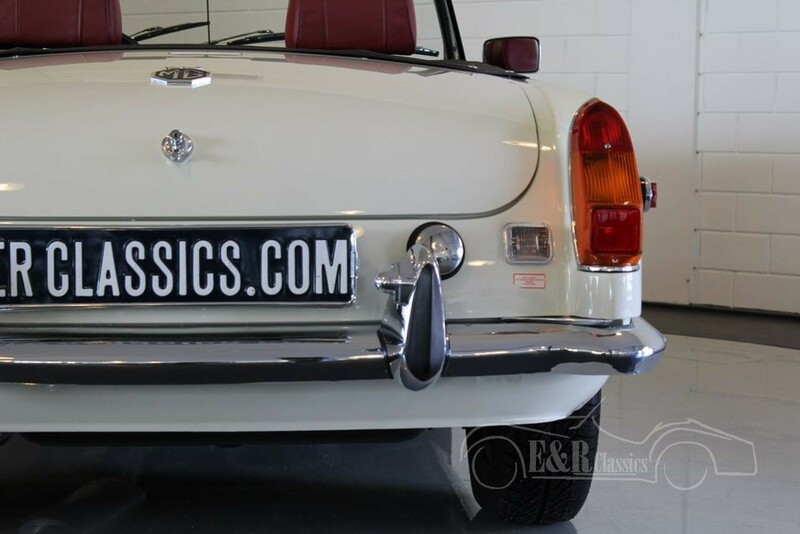 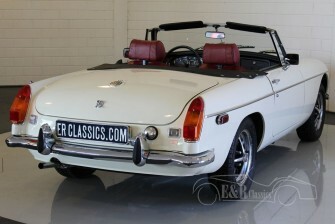 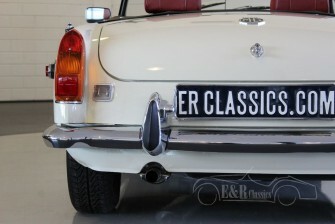 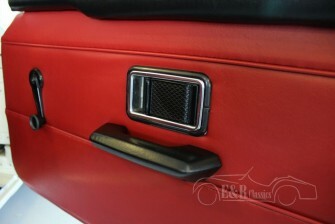 In the past this car was restored and is in a very beautiful and well maintained condition. 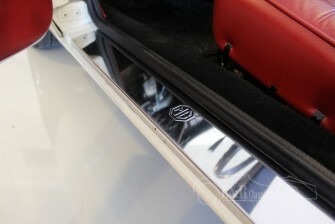 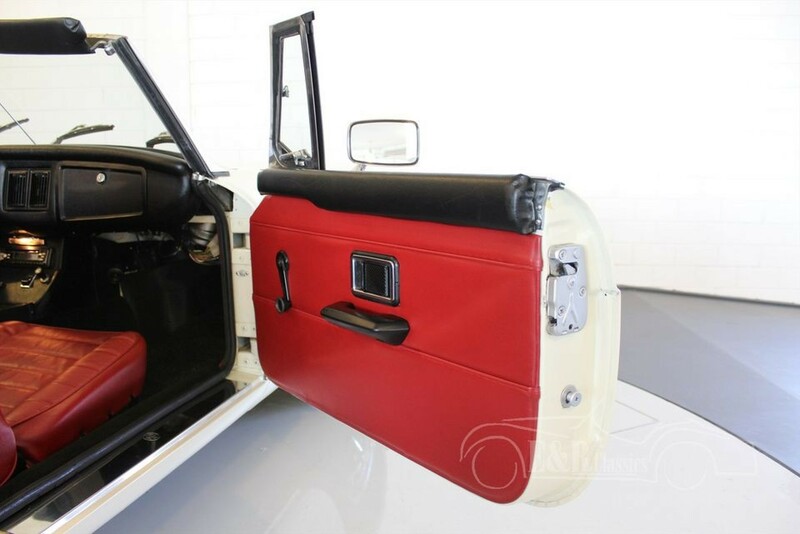 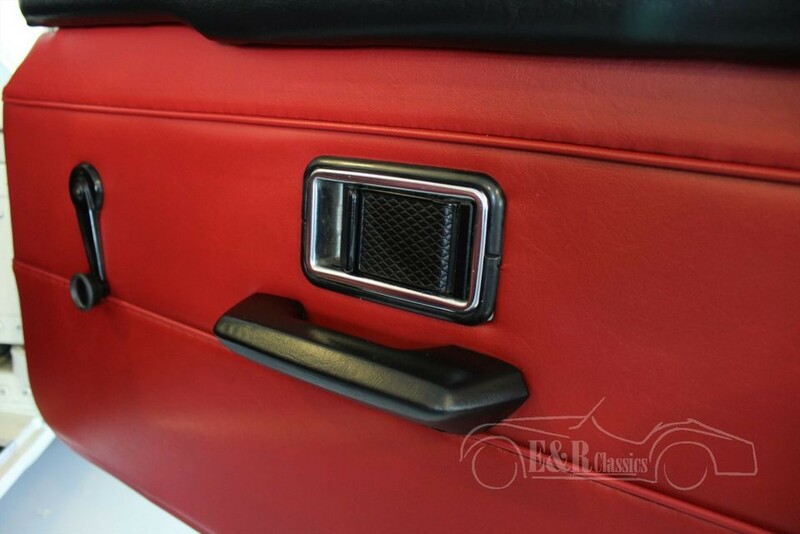 It is a beautiful combination of Old English White paint, red leatherette interior, chrome details and the original chrome MG Rohstyle wheels. 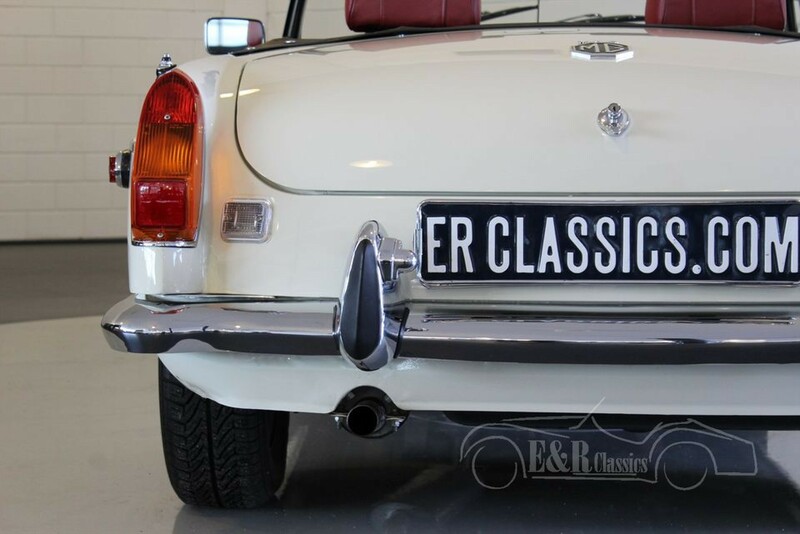 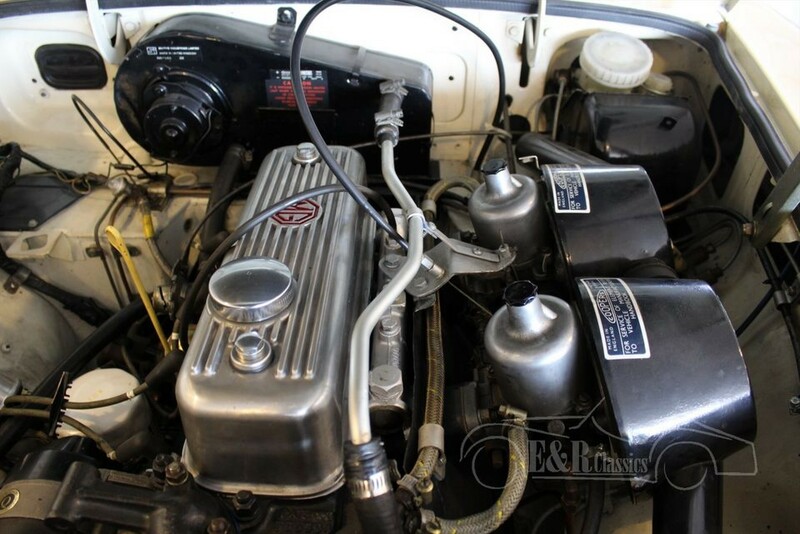 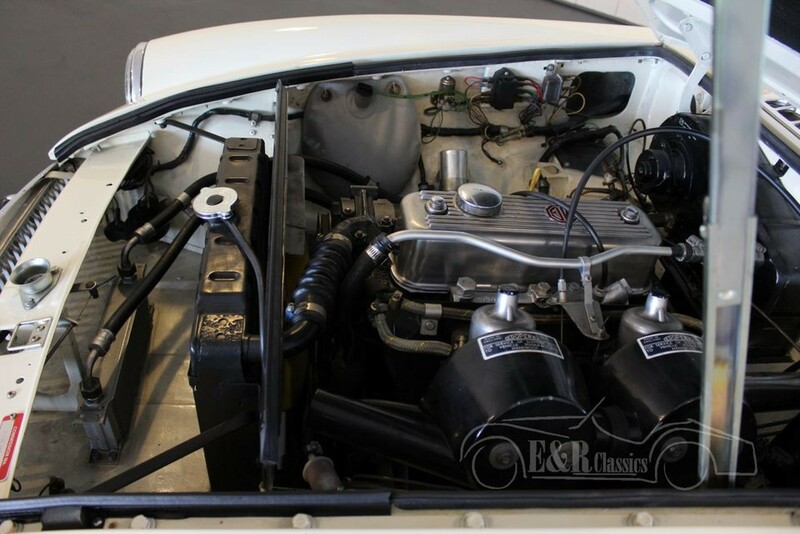 The 4 cyl engine in combination with the 4 speed manual gearbox makes this english classic car drive really great.